Unspectacular but very effective. Gōtoku Sakai was born in New York City to one Japanese parent and one German parent, and was brought up in Japan, where he began to make his name at Albirex Niigata. The young right back joined VfB Stuttgart on an 18-month loan in January 2012, making his move permanent a year later with a deal that takes him up to the summer of 2016. 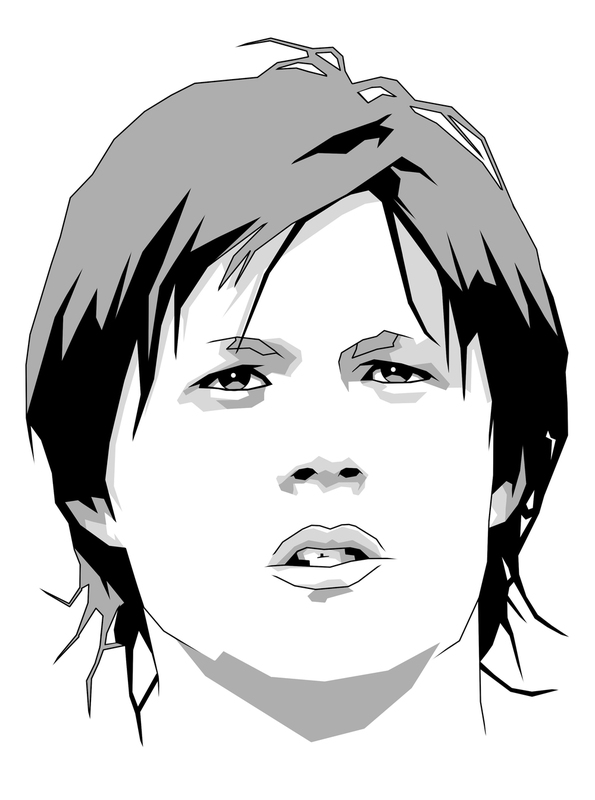 That Stuttgart triggered their option to buy came as a surprise to few that had seen Sakai in action. He’s become a regular for his club, where he started 14 Bundesliga matches in his first half-season and 27 in his first full campaign with die Schwaben. Sakai is every bit the typical right back: a steady hand, defensively solid, and more than willing to get forward and affect matters at the other end too. Stuttgart are hovering around mid-table this season and finished there last season, with a cup final thrown in to sweeten the mood. Sakai’s gradual improvement has been evident throughout. The Japanese international stands up well and creates a difficult barrier for crosses. He’s a hard worker, efficient in possession and able to combine a tendency to keep it simple with the ability to dink a weighted chip into the chest or feet of a player in space. He’s not the tallest, but he has a hell of a leap and loves the chance to mix it up with bigger and ostensibly stronger players in the air. Going forward, his footwork is neat and he doesn’t ever seem to be rushed. His first thought, in spite of his accomplished short game, is to find an opening to put in a cross – when he does so, it’s easy to see why. Sakai is too quiet in some games, but, by and large, 2013 has been a story of continued progress from 2012. As you’d expect, there are parts of Sakai’s game that need some work. He can be beaten for pace – not much he can do about that, of course – and his decision-making can be a little wayward at times and detracts from his positioning, whose starting point is usually good but can be pulled around by clever opponents. The major negative is one that good coaching will eradicate. Sakai can be a little rash and over-ambitious, and goes to ground too quickly or commits too readily in situations where he cannot realistically win the ball, leaving him eliminated from play when a smarter choice would have kept him active. He can get caught flat-footed in the middle of an opposition triangle, and he can also get in a muddle. In the 6-1 defeat by Borussia Dortmund, Sakai’s inability to deal with a through-ball because he couldn’t work his feet out was a minor concern in a poor night’s work all round. The good outweighs the bad tenfold. Sakai is an impressive player and keeps on steadily getting better. Having been eligible for Japan, Germany and the United States, he made his debut for Samurai Blue in September 2012, continuing his progress through Japan’s Under-20 and Under-23 sides. His national team coach is taking an eager and deceptively talented group to Brazil next summer for the World Cup, and Sakai is almost certainly going to be a part of it. He’s picked up caps in 2013 and coach Alberto Zaccheroni has recently played him at left back, accommodating another Bundesliga Sakai, Hiroki of Hannover 96, in the back line. The Italian rates Gōtoku and the Stuttgart man will be keen to hold on to his place until the summer and beyond. In terms of his club career, there will be more than a few clubs interested in making Sakai’s time as a permanent Stuttgart player as short as possible. Fredi Bobic and his employers will undoubtedly make a profit on the low fee paid to bring Sakai in from Niigata, with a couple of years on his contract likely to be enough to make sure any suitors know they’ll have a significant price to pay. Someone, somewhere, will fork out to bring in Sakai and offer him a step up. The Champions League might be too much of a jump but within the length of his current contract Sakai should be ready for regular Europa League level football. 2014, and the World Cup in particular, will go some way to defining how and when that opportunity will arise.